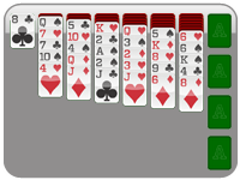 Calling all Scorpion Solitaire beginners. This game on Solitaire Time is the place for you! 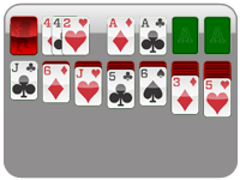 This easy version of the much more difficult 4 Suit Scorpion Solitaire is sure to get you ready for the big leagues. Practice your solitaire game play and gain your still before trying harder versions of this fun solitaire card game. One Suit Scorpion Solitaire is played with only one suit of cards. It is a game much like Spider Solitaire in that you must complete stacks of cards King down to Ace to make them disappear from the board. 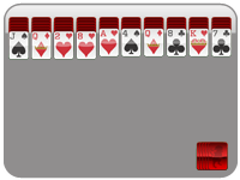 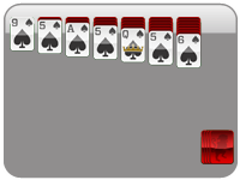 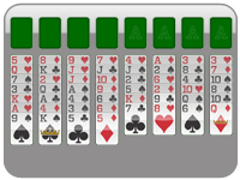 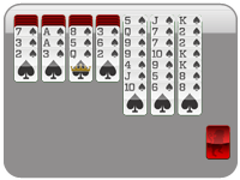 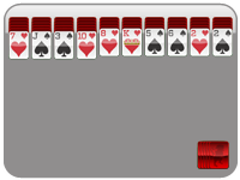 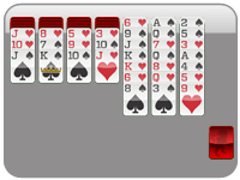 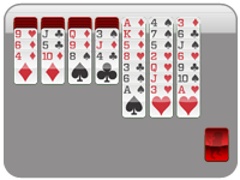 Only Kings can be placed into an empty slot which is what makes this game different and more difficult than 1 Suit Wasp Solitaire. Remove all the cards in their respective stacks to win! 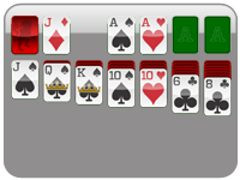 The difference between 1 Suit Scorpion Solitaire and 1 Suit Wasp Solitaire is that you may only place a King into the empty slot in Scorpion. 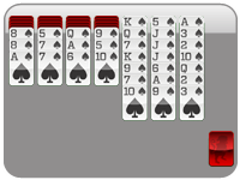 This 1 Suit Scorpion SOlitaire version is made especially for beginners.